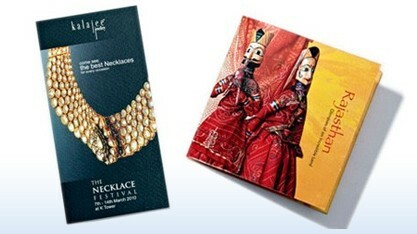 Flyers are one of the best and reliable marketing tools, when it comes to promoting of business. There size is an advantage that makes it easy to be mailed, handed over in person, left behind on cars, distribute in trade fairs, trade shows or even put on doors. Using flyers in marketing is a smart way to get instant attention and create brand awareness. It allows to present significant information in clear and concise manner. We, S S Graphics are pioneers of Flyer Printing; we have more than 18-years of experience in the printing industry. Our supreme quality, affordable price and timely service have helped to become one the leading industry players. Our designers use computer aided technology to create one-of-its-kind flyer design that perfectly blends with your company’s website and other marketing material like bookmarks, postcards, brochures. Shape is another area where we give utmost importance; we will come up with a shape that is symbolic to the industry you are dealing. Our attractive design, perfect color combination and innovative shape of the flyer will strike a rapport with your potential customers; it will strengthen your bond with the existing customers while adding new ones. launches, and other similar activities. Even as party invites, door passes, or feedback forms! One can design and print flyers to produce many different desired results. When designing your flyer printing, it's essential that you keep your target customers in mind. Use text and images that will appeal to them specifically, instead of the public as a whole. Likewise, distributing your flyers or inserts in areas where your target market will be is most important.